Well, it turns out Gene (who we are featuring for the next few weeks…check out his Kickstarter campaign here) had made the wrapping in sections so I could carefully take it apart – just enough to get the box open, and then close everything up good as new. So I did. 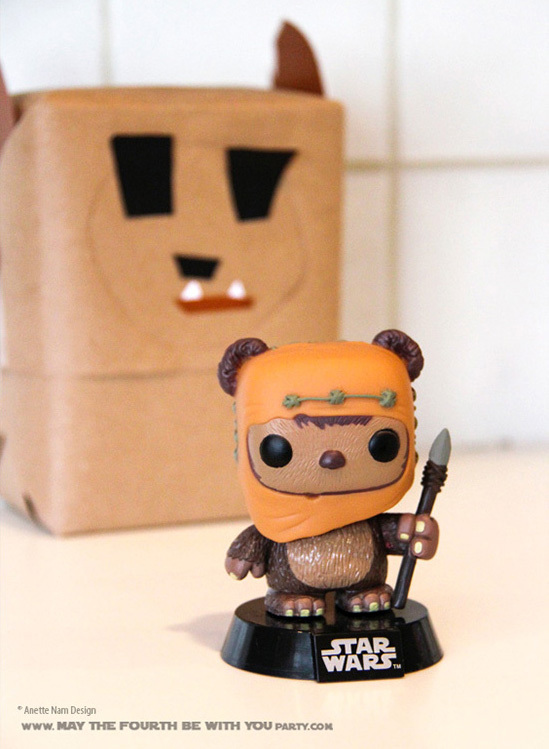 And of course there was another squeal of delight when I saw what was inside, a bobble-head Wicket. Very meta! …and stay tuned! The other 2 presents will follow the next few posts! 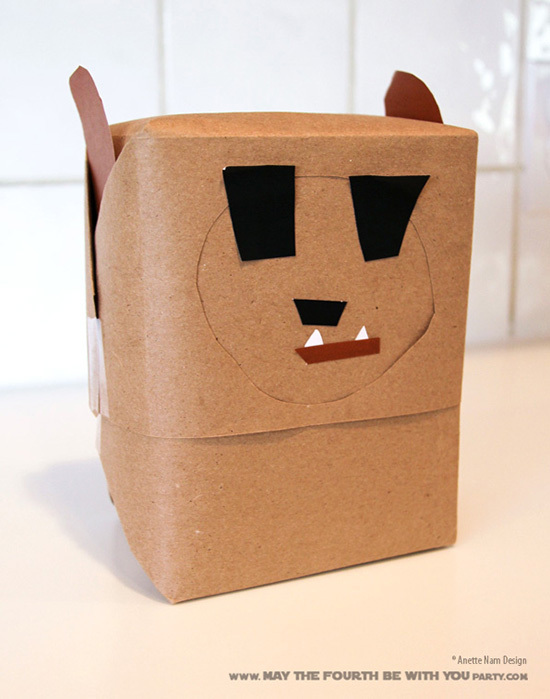 Wrap the box with kraft paper. Cut a piece of kraft paper large enough to cover half the box, wrap the top part, but do not tape. While the paper is still on the box, draw a circle large enough for the face, and cut out. Cut eyes, ears and teeth.